The European Union must play the role of a mediator in the dispute between Catalonia and Spain, Catalan officials say. Activists are also reportedly printing ballots for the Sunday’s independence referendum in a secret location. 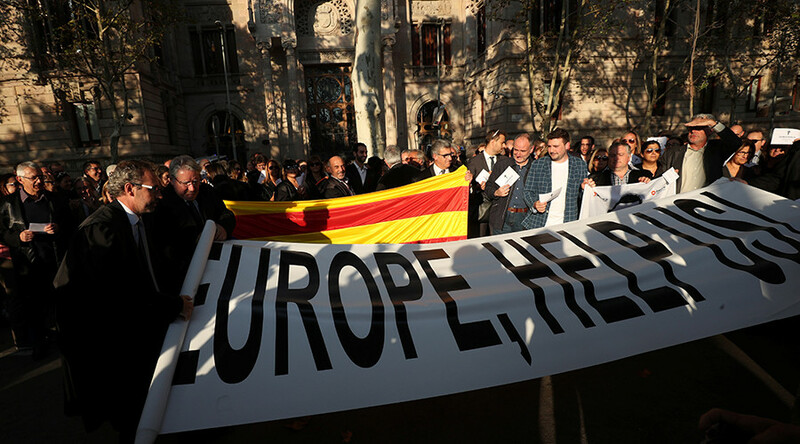 Catalan Foreign Affairs Chief Raül Romeva said that it was the EU’s duty as a repository of democratic values to put pressure on Madrid to allow the plebiscite. “We call on the EU institutions (...) to stand for the values and principles (of the EU treaty),” Romeva said at a press-conference in Brussels, as cited by Reuters. “Civil rights are being violated ...and the quality of democracy in Spain is being eroded,” he added. The Spanish authorities have labeled the Catalan independence vote “unconstitutional” and are actively working to prevent it. Thousands of additional police have been deployed to the region, with orders to take control of the voting booths. Police sources told La Vanguardia paper that the officers sealed a warehouse, used by the Catalan authorities to store ballot boxes. Evidently, independence campaigners are not planning to stop their preparations for Sunday’s vote. The Spanish version of The Local released a video on Tuesday which it said shows referendum ballots being printed at a secret location. “None of us know where it is,” the activist who provided the video to the website said when asked to disclose the location. Madrid has been harassing officials, mayors and journalists in Catalonia, Romeva told the journalists. 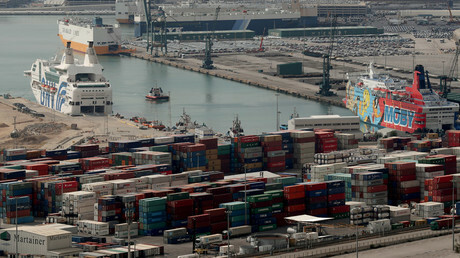 By not interfering in the dispute, the European Commission is endorsing the “repressive action” of the Spanish government, he stressed. "It is my obligation as mayor... to call on the European Commission to open a space for mediation between the Spanish and Catalan governments to find a negotiated and democratic solution," Colau wrote in an opinion piece in the Guardian newspaper. 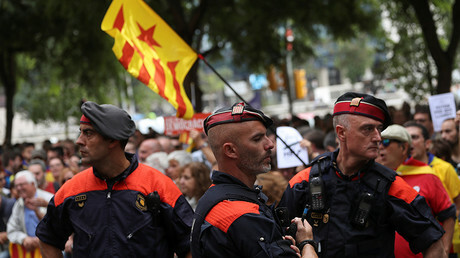 The “intransigent” stance of the Spanish government has deepened the divide between Madrid and Catalonia, and allowed the situation “to escalate from an internal dispute to a European conflict,” she stressed. The European Commission has previously sided with Madrid on the Catalan independence issue, saying it respects the Spanish constitutional order.